Before I left on this Camino, I had gathered a bunch of small, dark grey rocks from a beach near Victoria. I painted yellow arrows on them with nail polish with the mantra in mind, “May you always find your way”. One of the reasons Grañón was special to me had to do with receiving a small rock from a Spanish man on my 2013 journey. You can read about that in my post, Let Go of the Old. It had meant a great deal to me, especially when I reached the 555-kilometer marker. It was my mission, while volunteering as a hospitalera, to give away one rock each day to a pilgrim as a token of strength to keep going. These are my journals from my two week stay in Grañón. 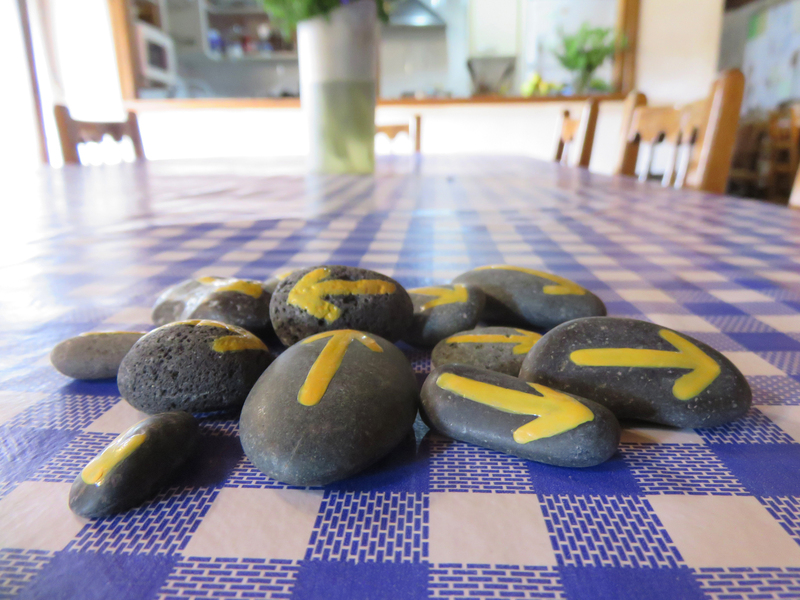 Four rocks with yellow arrows painted on them are now on their way to Santiago. One has likely arrived by now and the other three are one day apart from each other shortly past the small village of Grañón. Ten more are prepared to take the journey with a special peregrino or peregrina who I think could use a little extra symbol of encouragement right now. Most of the rocks are charcoal grey. I chose them so the yellow arrows would stand out more. 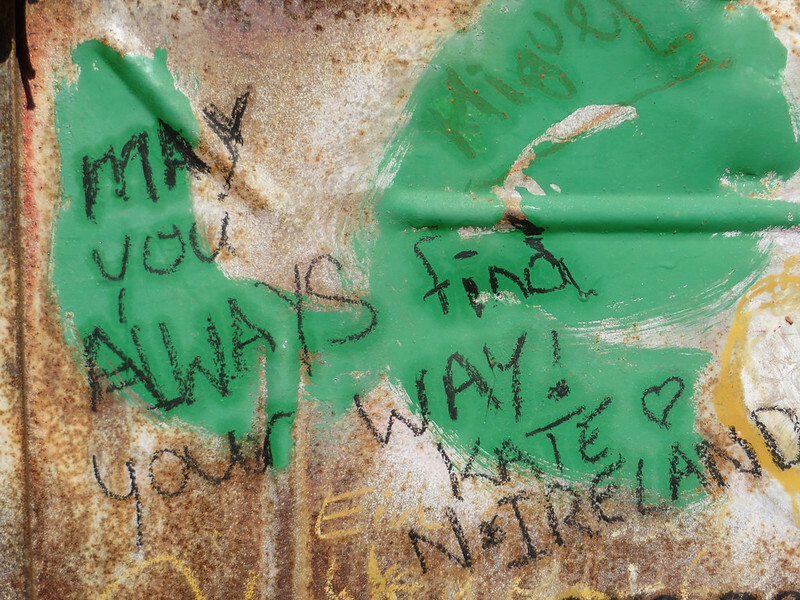 I painted them all while thinking the mantra, “May you always find your way.” It’s a quote I took into my heart off the wall of a special place along the French Way called House of the Gods. Kate from Ireland had written it. I wonder if she is aware of the impact those words have had on me and will have on others, including the pilgrims who receive one of the rocks. Tina from Denmark was the first to receive one. I met her along the French Way in a small town before the city of León. We had sat and talked at a table outside a bar while sipping some vino tinto. I explained my scattered and confusing Camino to her; my start along the Camino del Norte, my switch to the French Way between Pamplona and Logroño, my arrival in Santiago by bus, my return to Moratinos on the Meseta where I stayed at Peaceable Kingdom for four days and then how I came to start walking again from Moratinos and end up sitting beside her. She said to me, “Maybe it’s time to stop suffering.” Her words surprised me. I didn’t think I was suffering, but maybe she’s right. Maybe my search for answers outside of myself instead of just allowing myself to be is a form of suffering. In the end, she hugged me and said, “I hope you find your way.” Her words reminded me of the rocks in my suitcase, so I sprint-walked back to the albergue to retrieve one. Tina was still sitting at the table reading a book when I stood in front of her and said, “I have something for you.” She looked confused for a moment, but when I placed the rock in her hand and explained what it was about, she teared up, held it to her heart and then gave me a big hug. It meant something to her. It was perfect. That’s what I had hoped for. Kristen, a lovely young Christian woman from the United States, received the second rock on my first day volunteering here at the parochial albergue in Grañon. She was dealing with judgment. She was traveling with two friends and another peregrina who they had met along the way. I had noticed all four of them in a coffee shop in Santo Domingo before I arrived here for my orientation. Kristen was crying. The other three had ganged up on her. They were arguing. 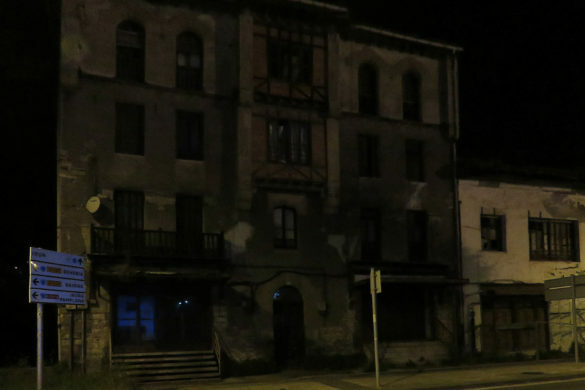 I didn’t know why, but I found out later that night when the four of them decided to spend the night here. The three original friends had prearranged their Camino together. One friend made a list of rules to be followed, two of which were, “You must always chew with your mouth closed” and “You must always be decisive.” All of the rules were made for the good of the group, however, the rigidity of them caused more tension than peace. I observed the girls during the oración that evening. Two of them rolled their eyes when Kristen stood up and said, “I am walking the Camino to trust more in God.” The others weren’t there for the same reason. They were there to party and have fun…provided everyone followed the rules. While Kristen and I sat outside, I asked her how she felt about breaking away from the group and walking alone. “Mom wouldn’t like it,” she said. She also wanted to give her friends a chance. She was afraid to walk alone and I understand. She worried what her family and friends would think, but what do they think now? Her Camino companions seem to judge her anyways. So I said, “Maybe by trusting in God and walking alone you will have the journey you came here for.” It was something for her to contemplate. The third rock found Gunilla, sounds like “vanilla”, from Sweden. She was such a kind and beautiful presence in the albergue. She told me while I signed her in that she was a singer and I excitedly said, ” Ahhh good! We love music in the albergue!” I told her about the oración that would happen by candlelight at 7:00 pm on the balcony inside the chapel. The oración is a special gathering where pilgrims have an opportunity to share a Camino reflection, poem, song, prayer or even silence. I told her she should come and said, “No pressure! We won’t expect you to sing,” and we laughed. I couldn’t be at oración that night, but I found out that when the candle came to her she took a breath, but then hesitated and stopped. She was going to sing but froze. She said it is what she needs to work on here. She said, “I sing in front of thousands of people, but I can’t in front of a small intimate group. She isn’t sure why. I gave her a hug, a “Buen Camino” and a rock before she set out on the road yesterday morning with the wish for her to always find her way and that somewhere on the road she also finds her voice when she wants it. Yesterday morning, I gave the fourth rock to Kim from South Korea. He hobbled in the day before in a lot of pain. He has tendonitis in his left lower shin. He wasn’t in good spirits and was silent most of the evening until oración. When the candle was passed to him he made up for it. Kim explained his hard day, the injury that appeared all of a sudden, how active he normally is and how unexpected the injury was. Also, how disappointed he was that his journey may be in jeopardy and how humbled he has become. His injury, and especially how he felt about it, reminded me of my own journey when I had developed a similar ailment. I felt for him. 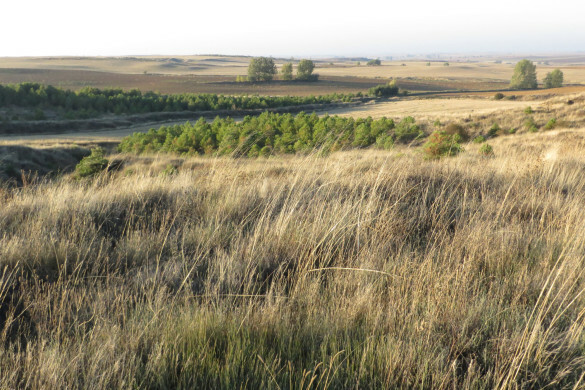 Then he said, “Twenty-five years ago I lost trust in God, but I realize now that since then “I” have been lost.” He said he has experienced so much kindness on the Camino. So many have stopped to help him. He thinks that possibly God has also been trying to help him. When I gave Kim the rock this morning, he said to me, “This is very meaningful. It is what I really needed…direction,” and he pointed at the yellow arrow. We hugged and said, “Buen Camino” and I watched him carefully descend the stairs towards the Camino. 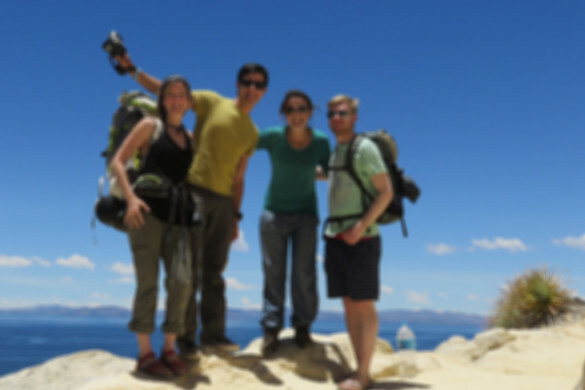 A fifth rock has since left Grañon headed towards Santiago, this time with Hayley from New York. Hayley is a strong young woman and has already had a lot of worldly experience, although I didn’t ask her how old she was. She was sitting in a chair by the fireplace soaking her feet in salted water when I sat down beside her. She showed me her feet. The bottoms were splotched with white, raw open blisters in between toes and on her heels. She currently lives in Frankfurt, Germany. She moved there three years ago from New York with her ‘then’ partner. She currently works as a computer technician and she is fluent in German. 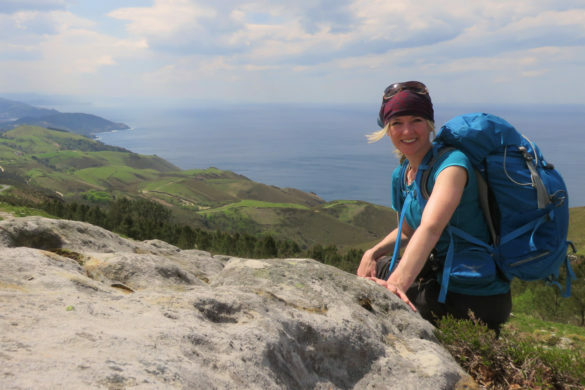 Hayley’s journey started out with a big “Camino moment” as soon as she stepped off the plane in Bilbao. 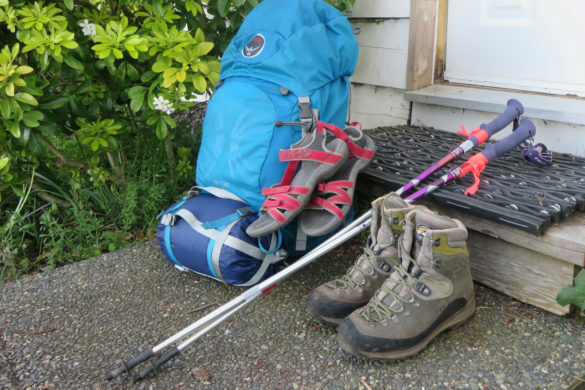 The airline had lost her luggage, so she was faced with three possibilities: to give up and fly home, buy new things and walk the Camino or forego the new things and still walk the Camino. She chose the last option, however, she did buy a poncho, a sleep sheet, a phone charger and a little bag to put them in. She is starting over in more ways than one. Her marriage is ending and it has been tough. She and her partner have been separated for eight months, but as with many separations, it can be hard to let go for quite a long time. When I told her what my own journey had been about, letting go, she said she hopes that’s what her journey will be about too. She takes each day as it comes, a good mind-set to have on a journey like this and she powers through the challenge be it blisters or a break-up. Inspiring! Ooohhh…what a night. I am sitting in the Grañon plaza at 11:29 pm where there is open wifi. I’m going to be so tired tomorrow. It’s late for me since I have to be up at 6:00 am to serve pilgrims, but I feel like I need to write something now. I met Yvonne from Australia tonight. She was part of a group of pilgrims who, after oración, decided to go to the bar. I followed along. The group of us laughed, told Camino stories and Yvonne shared with me her own story. 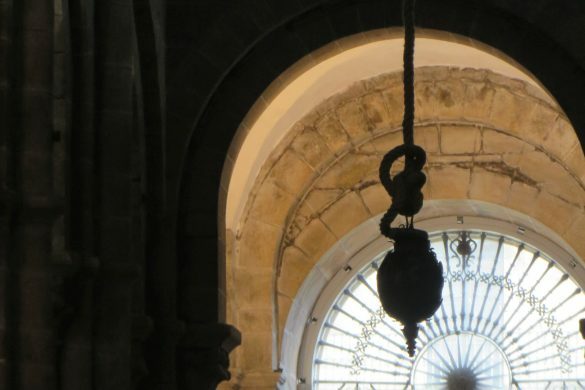 During the oración she mentioned she didn’t know why she was walking the Camino, that she wasn’t here to find answers or to find herself although she did say she lost herself long ago. She stopped speaking briefly to steady herself and then said that she would have to say goodbye to her good friend once she reaches Burgos. She will continue on alone from there although she knows she will bump into the young people in her group from time to time. She looked at me with amazement and said, “I never thought about that until now!” It was like a bright light had illuminated something for her. Ideas began to flow. She became inspired to purge things, travel and use her training and experience teaching primary children in perhaps a poor country where it is desperately needed, maybe the small island off the coast of Australia where her husband wanted to do some work for the poor. I wish I could remember the name of that island. Her husband died a year ago though. She said she is strong and is doing well. She brought his photograph along in her pack. She said, “I brought it along to leave at Cruz de Ferro (the pile of rocks with the tall pole and the cross), but I think I’ll keep him.” She smiled and folded her hands over her heart. This was an inspirational night and place for Yvonne. 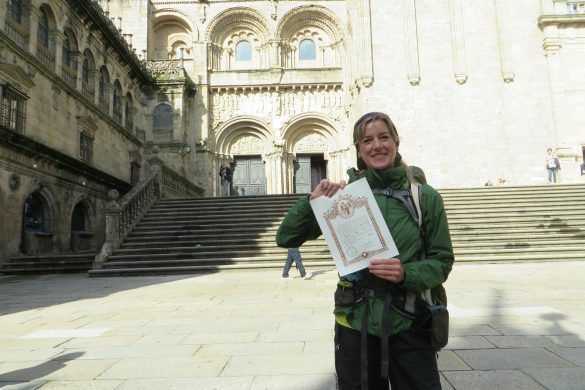 Even though she hadn’t embarked on the Camino with a purpose in mind, it is obvious that the Camino is working on her. It was really special to witness. She was moved and expressed how this experience in Grañon has been so meaningful for her. It has been for me too. She will remember it. I will remember it. We hugged and said “Buen Camino” and goodbye. I love being part of this, the Camino, as a hospitalera. 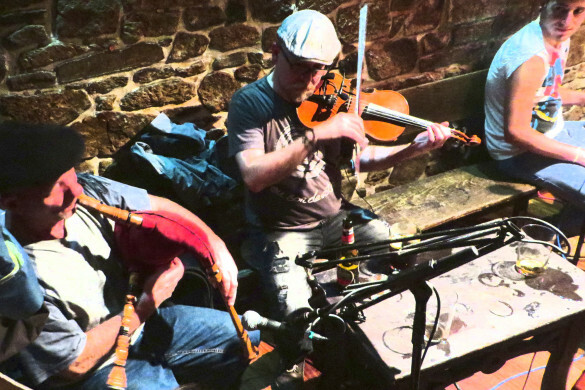 I love hearing pilgrims’ stories and their reflections, also seeing the camaraderie. However, the tough part is having to say goodbye each day. It would be nice to follow them, however, I can’t. Even still, I wonder what will happen tomorrow here in Grañon. Who will the Camino bring us next? Yesterday was the most emotional day I’ve had since I began volunteering here in Grañon. Several pilgrims moved me with their stories during oración later in the evening, but Geioia from Italy made me cry before that. I wouldn’t have believed it when he walked in the door early in the afternoon though. He was red and sweaty when he sat down in the chair beside me at the sign-in desk. He was an older man, maybe in his late 70’s. His skin was weathered from too much sun. He was tired. “Bienvenido…welcome,” I said and smiled. I brought him a glass of room temperature lemon-mint infused water. “Don’t you have cold water? Ice?” he said in a thick Italian accent. He seemed irritated. It was a scorching day and there isn’t much shade along this section of the Camino. There was no clean ice in the freezer at the time. Also, no room in the jammed-packed fridge to refrigerate water, so I ran the tap in the kitchen for a while to make it colder. It was enough. He nodded his approval. I began to explain the usual Grañon spiel after asking how he was feeling and how his feet and body were holding up, but he wasn’t much in the mood for talk. He was short with his answers. He simply wanted rest and water. Later on, he noticed me sitting by the window eating a cookie. “Do you eat much?” he asked. “I try, but sometimes I don’t think about it,” I responded. “You need to eat more,” he said as he observed me. He continued to lecture me about my, assumed, eating habits. He might be right though. I don’t always eat enough or well enough, so I cut up an apple and made some tuna-salad baguette slices to eat. He sat right next to me at dinner time, so I made sure he noticed that I had a second helping of rice and the chicken-veggie stew. He asked me what the Camino meant to me. I explained my story and what it was about two and a half years ago. Back then, it was about letting go. It also helped me to understand what was most important in my life, the non-tangible things that you can’t buy. Things like friendship, camaraderie, shared wisdom from other pilgrims, synchronicity, spirituality and an understanding of my own strength. I couldn’t explain my recent pilgrimage to him though. I am still processing it. He kept asking me what the Camino was, but each time I tried to answer he shook his head and asked me again. Earlier, when I was eating the cookie, he had asked me the same thing and said, “Think about it and I will ask you again later.” It was now later, at the dinner table, and I still didn’t have the answer he was looking for, although I believe it would have involved more of an understanding of Catholic theology. Not having grown up with religion I don’t know much about it. I’m not religious, but spiritual meaning that I do believe there is something more beyond this life. He motioned his weathered hands to encompass all of the pilgrims sitting at the table including me and said, “We are all brothers and sisters. 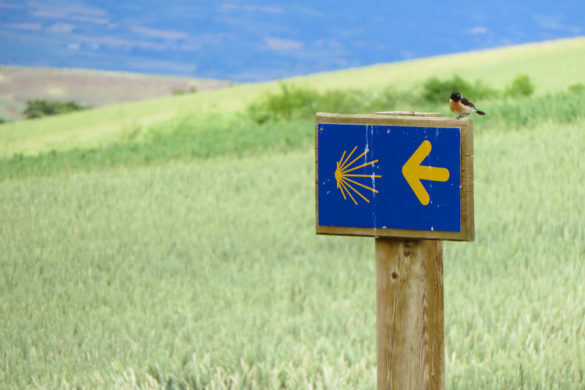 The Camino is a path of love. We must love each other. It is hard to do sometimes, but we must try.” He smiled widely to show a perfect set of white teeth. His eyes crinkled up joyfully in the corners and he said, “You are my sister.” He had emphasized the word “you” and placed his palm on my forehead. His words, expression, and gesture were so heart-felt and so honest that it brought me to tears. I didn’t expect that. My heart became fuller as I realized the family of brothers and sisters sitting at the table last night, the community of pilgrims. He was my brother. At oración he repeated his words, some in Italian, some in English. Others also had much wisdom and beautiful Camino insights to share too, but what he shared with me was so personal. It helped me to understand what I was looking for during my latest scattered Camino. I think I am finding it here as hospitalera with each group of brothers and sisters that come through the door each day. This morning when he said goodbye to me he placed a hand on each side of my face and smiled wide with those crinkly, joyful eyes. He had told me yesterday that this would be his last Camino. “It’s hard,” he told me. “My body is old.” This would be his 14th walk along the French Way. He said goodbye and I watched him descend the stairs towards the Camino. The next rock went with my Camino mom-for-an-evening, Judy. We laughed at the similarities between our lives. My mom’s name is also Judy, not a common name. Camino Judy is 70 just like my mom and she has a daughter named Tonya who is 47 like me except my name is spelled T-a-n-i-a. Soooo close! She and her husband even got married in January just like my parents did although I didn’t ask her which year. Another coincidence is that my mom also walked the Camino at 70 years old last fall. She celebrated her birthday on her first walking day in Orisson. So really she is a Camino Judy too, but for this story, she is my mom. Camino Judy is from San Diego, California. She is walking the Camino with her good friend, Linda, who is also 70 and from California. She is there for support. Judy is one of four siblings, but two of them, “the book ends,” she says, a brother and a sister, passed away in recent years. She is walking the Camino to process her losses. Her eyes glossed over when she told me. The Camino has been good for her and she especially loved staying in Grañon. She said she teared up a lot (happy ones) listening to all the singing and music in the living room before dinner. She also shed some tears during oración. We talked lots about hiking in our own countries during breakfast. 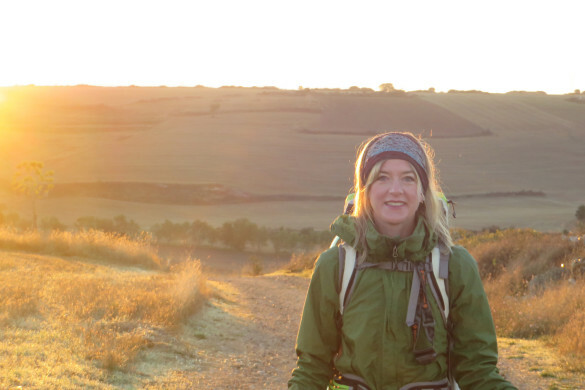 Also, about the Camino, what it was about for me, what I discovered was most important and how it changed the way I choose to live now. She gave me a high five. She and Linda had also chosen to live differently from the norm during their lives, only it didn’t take the Camino to encourage that. For example, Linda had lived and worked in scientist camps in Alaska before she retired. She now has a little van that she takes camping all over the country along with her two dogs and cat. People would make bets that she would return home with the two dogs and no cat or a specific dog and one cat, but she always came back with all three. Linda gave me her email address and phone number and said anytime I want to visit her, and Judy, in California, I am welcome to come. “And we’ll do some hiking!” she added. I am excited to take them up on the offer! 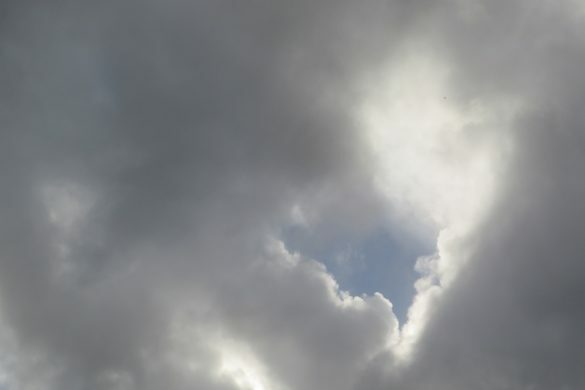 When Judy was ready to go I said, “I have something for you.” I put a rock in her hand and said, “I know you are dealing with loss right now.” I explained the rock and the mantra and finished with, “May you always find your way.” She was touched. 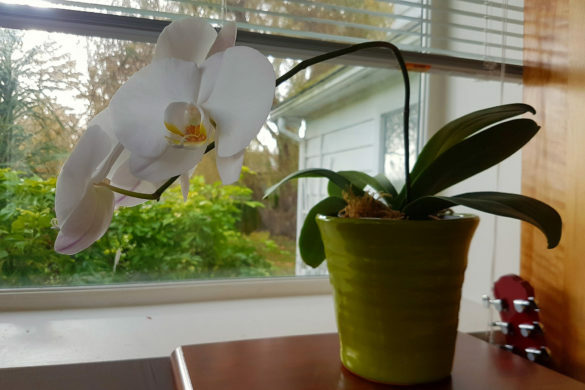 I wanted to give one to Linda too, but I didn’t, partly because I want to give one away to someone each day, but I haven’t been able to do that. I missed giving one away on two days now. I’ve been so exhausted. Yesterday, for instance, I didn’t really connect with anyone partly because of how tired I was. I was away a good part of the day too. Angela and I were whisked away from the albergue by Marina, one of the albergue monitors. She was trying to show us that the albergue can function on its own and that it’s okay to both leave it in order to take longer breaks when we need them…a good lesson. Normally, we relieve each other from the albergue for a couple of hours or so in the late morning or early afternoon, but maybe we need more time. I have only four days left and six rocks. I will need to give two rocks away on two of the days. How I’m going to find the energy to write about them though, I am not sure. Maybe I’ll feel more energetic then. I have given out more rocks since Judy left with one a few days ago, but I haven’t had the time or energy to write about the pilgrims who received them until now. I’ve been very tired. The days at the albergue have been long and the sleeps short. There is much work to do at an albergue that keeps it’s doors open all day and night. My mind never really rests. The next rock left with 12-year-old Lucas from Sweden. 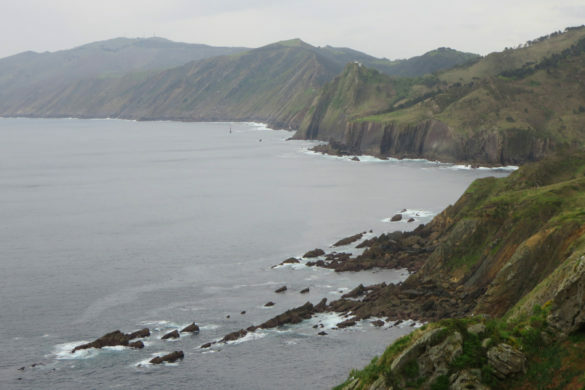 He walked part of the Camino between St. Jean Pied de Port and Puente la Reina with his grandmother, Lena. 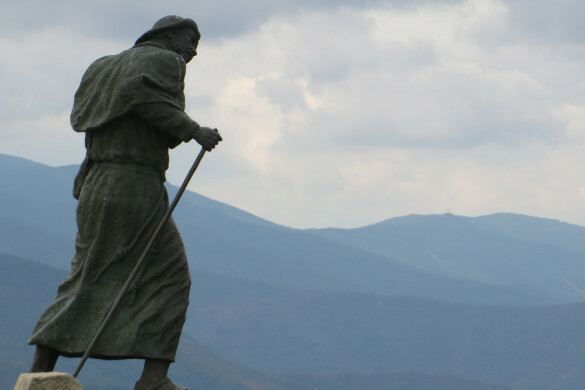 He had walked many kilometers trying to keep up with a pilgrim who they dubbed his “Camino grandfather.” Lucas looked up to him. 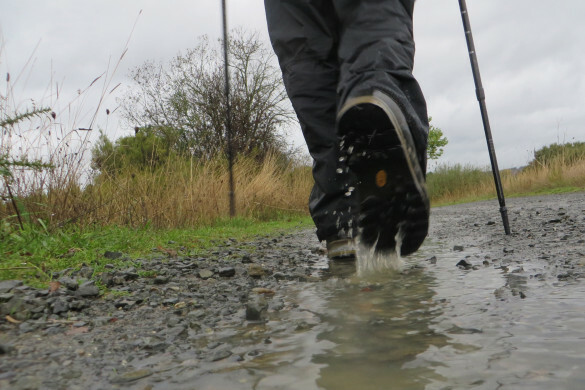 He walked further distances in a day than he was used to, but he powered through until he became physically exhausted. “He wanted to prove himself to his ‘Camino grandfather’,” Lena said, but eventually it was too much for him and they stopped in Puente la Reina when Lucas got sick. They regrouped and decided to end their Camino, but not before visiting the albergue in Grañon. Lena, having been here before, wanted her grandson to experience it before they returned home. It was fun to have a kid in the house. Lucas entertained us with card tricks and also practiced the new magic coin tricks he learned from fellow pilgrims. I showed him how to play a card game called ‘Kings in the Corners’. It reminded me of when my brother and I used to play card games when we were kids. We still do when I see him. Lucas was so wise and grown up during oración. First, he talked about how special it was to walk the Camino with his grandmother and then he touched her arm. You could tell she was so proud of him and she smiled. Then Lucas said, “The Camino is the learning way.” He is so right! You learn so much about yourself on a journey like this. I gave him a rock when I said goodbye to him and his grandmother, Lena, near the bus stop. They were heading back home via Burgos then Biarritz. “May you always find your way along your journey through life,” I said. Their Camino journey had ended on a happy note in Grañon. I think his grandmother knew it would. It seems that many pilgrims return to this albergue if they walk more than one Camino like Lena has. She hopes to walk again with her other two grandchildren if her body holds out long enough. “Maybe in two years,” she said although her other two grandchildren are only four and six years old right now. I can understand why pilgrims return here. It is such a welcoming place. The traditions here bring pilgrims together. Of course, we hospitaleras, have been doing our best to make them feel welcome right from the moment they stiffly appear at the top of the stairs. First, we welcome them with a smile and a glass of water. Then we ask them how they are doing and how their feet and body are holding up followed by the logistics. Many pilgrims comment during oración how meaningful simple gestures like that are. The simple things become the luxuries. Additionally, the homey environment and sharing in food prep, the communal dinner and the clean-up afterward also brings people together. The most special tradition in Grañon at the end of the evening, though, is the oración, the sharing of the heart. People are always moved by that, even brought to tears. Since 1997, a pillar candle has been passed around the ever-changing circle of pilgrims who sit in the ancient dark throne-like chairs in the church choir loft. Thousands of pilgrims have shared heart-felt insights, poems, songs, prayers and even silence in this place. Each night, I try to create a scene for the current pilgrims so they can visualize the pilgrims of many yesterdays sitting in the same candle-lit circle sharing their stories. Also, so they can see that they are links in a long unbroken chain of pilgrims. It is always an emotional evening for someone or a few. My heart goes out to them, even the ones I can’t understand, like He from Korea. Her words and emotional inflections during oración echoed in the old stone church while she held the candle and told her story in her own language. We could feel her pain as we all sat silently supporting her. I had felt her physical and emotional exhaustion even earlier when she sat down breathlessly in the chair by the sign-in desk. She had just climbed three flights of stairs after walking from Nájera, 30 kilometers. It was a hot day. I thought she was going to cry. She was nearly hyperventilating, but she held it together. She reminded me of the night I shuffled into Roncesvalles two and a half years ago on my first day on the Camino. It was 9:30 pm and dark out. I had gotten lost in the woods and was feeling physically, mentally and emotionally exhausted just like she was. The next morning, He stood at the top of the stairs with her backpack on ready to walk again. I hugged her and wished her a “Buen Camino,” then took her hand and placed a rock in it. Our eyes met and I said, “May you always find your way. Do you understand?” She nodded and we hugged. The remaining six rocks went during the last few days in Grañon, but I was too tired and busy to write about them. I also had some other things on my mind to write about, like the 555-kilometer sign and my thoughts around that. I’m still tired and fading as I sit here waiting for my flight to Munich at the Madrid airport. My sleep was short, maybe five hours, but I will give you a short update anyways. A young man mentioned in oración that he was walking with his 69-year-old mother, but they got separated. She was approximately seven kilometers back in Santo Domingo. He seemed sad about it, kind of torn about his decision to walk on. He said maybe his journey was about breaking away on his own. I don’t know the story, but I got the feeling they are very close. I gave him a rock as he left and said, “May you always find your way.” He thanked me and said he would keep the rock with him. During the same oración a woman who I had spoken with earlier had said she was walking to find herself, that all of her life she has looked after others, the kids, husband and now that the kids have moved on, she feels lost. The third rock went to the lively and inspirational Father Stanley from Delhi, India. He was such a positive and happy presence in the albergue, definitely a “cool” priest. I was happy to get an invite to India, however, it won’t be soon. I will need to get back to work and save some more moola first!! May you always find your way! Buen Camino!